David Young is the president and CEO of David Young & Company. When did you decide to launch your independent brokerage and why? What factored into that decision? A seed was planted two years ago as the real estate industry aggressively began to shift toward digital. At the same time I was structuring my team and business to run independently from Coldwell Banker. It took a couple of years to cut through the red tape and become independent because of specialized circumstances I was dealing with. At the end of the day, when you look at your accounting and see how much money is going to franchise fees, and feel that you are not getting any return from that, you see a great need to sever ties. I couldn’t continue giving money away when I knew I could be reinvesting it into resources for my own brand and brokerage. 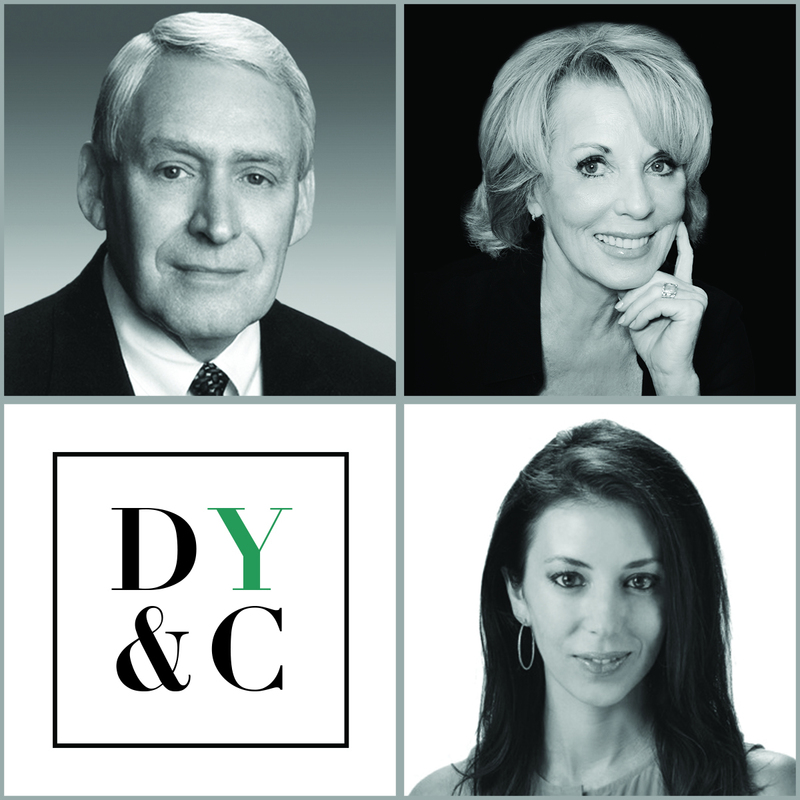 We officially launched David Young & Company as a boutique agency on October 17, 2015. Why did you think it was the right time and right move for you? It was a no-brainer. My team was a completely separate operation from the franchise brand. We did our own marketing (under parameters they set), paid for our own office space and phone lines, printers, and so on. My wife/business partner, Carol Peyton Young, and I have always come from a place of innovation, research and charting our own paths in business. We actually felt our progress was hindered by the inflexibility a corporate brand and politics creates. The singular challenge to date has been the administrative details that go into an endeavor like this. Paperwork, paperwork, paperwork. I think that David Young & Company is a unique story because, as I’ve mentioned, we were already fully functioning as an independent operation. Most start-up brokerages are the brainchild of an agent or team that’s been relying on a franchise operation to some extent, whether for office space, printing, phone systems, and the like. There’s a much more involved process to start from scratch, and we luckily had built David Young & Company strategically independent, so the launch has been a fairly seamless process. The majority of legwork we’ve had to do has been on the administrative side. Our clients and listings never hesitated to make the change with us, and they all know that while it’s “business as usual,” they are going to see some great benefits from this transition. What’s your approximate agent to staff ratio? Four-to-one, but that ratio will decrease as agents are added. Our agents are diverse and very much like a family. I’m not sure if it’s considered quirky, but we have what we call a “briefing room” in our office, which is a large room with whiteboard walls. Someone is utilizing that room every day for a brainstorming session with clients, new builders or for our own internal use of building our business. There is an undeniable creative energy in our office, and we make sure the ideas just keep flowing. Describe your office. What does it look like, where is it located? Our office could not be in a better location. It has great curb appeal and exposure in the heart of the Energy Corridor on Memorial Drive. I purchased the building 10 years ago and made a major renovation at that time. It is strategically located, and we feel really blessed to be located in such a thriving area of Houston. 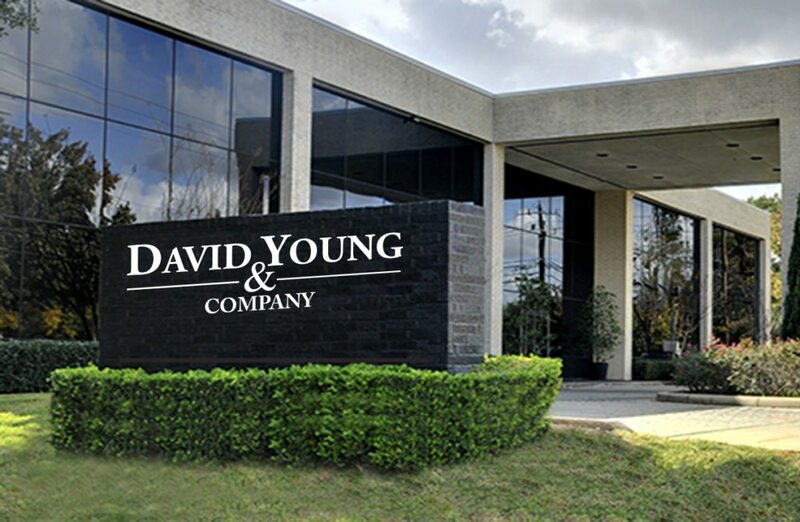 David Young & Company currently occupies the first floor, approximately 7,000 square feet of the 16,000-square-foot building. Combination of offices, conference room, cubicles, open work stations, briefing/training room and video room. How many agents/offices do you have? We currently have 10 agents and have plans for expansion but want to make sure it happens organically. Our main focus is not recruiting a mass amount of agents, but to really attract talented people who have the same innovative mindset. Our focus is on the consumer, not the agent. We are looking for talent who works hard and knows how to keep their clients happy by giving them an unparalleled service experience, and who is also excited to utilize the tools we offer. Our focus is on the consumer, not the agent. One of the biggest changes we’ve made with the transition from corporate to boutique is in our marketing department. No longer under a “one size fits all” corporate approach to marketing, we recruited Addie Hall as our COO. Addie was formerly the Vice President of the luxury real estate brand The Malibu Life, owned by Bravo’s “Million Dollar Listing” star, Madison Hildebrand. While she will be handling day-to-day operations for us, a major role she has taken on is Creative Director. When we decided to move forward with our boutique launch, we knew it was time for a new image. She has overseen the rebrand of the company and will have direct oversight on all future marketing pieces and campaigns. Yes, Carol is very talented and she has a great reputation for organizing events — and we are currently planning more, specifically to showcase and promote our company to the real estate community. Describe your broker’s digital presence. Do you have a website? What publishing platform do you use? Are you active on social media? What channels? Digital is very important to us and that is why we have on staff our own multimedia, Web and graphic designer. Many of our buyers are international, especially in the Energy Corridor, and they search for homes from abroad. One powerful resource that we’re offering to these buyers is the ability to take 3-D home tours of our listings. We invested in our own 3-D camera and have seen powerful results in selling homes quickly, specifically to international buyers. Our website is davidyoungandcompany.com. It’s a WordPress site that we developed. Additionally, social media is a big initiative for us this year. We are most active on Facebook, but we also have accounts on Instagram, LinkedIn, Pinterest, as well as a blog on our home site. What would you say are the biggest advantages to operating as an independent brokerage vs. a franchised firm? What are the biggest challenges? Advantages: We are able to control our branding messages and our image so that they are unique to each listing, to each neighborhood, to each demographic. We are able quickly adapt our business model, as we are in an industry that is seeing great disruption. We don’t have to go through multiple channels of approval or deal with the politics involved in a corporate franchise. We are able to invest money into resources that make sense on a local level for our specific market and clients. Boutiques, when done right, have greater possibilities at gaining exposure for their listings. Challenges: When you say “boutique agency,” you sometimes get mixed responses. Some argue that they want to go with a corporate firm because of their exposure power. What they don’t realize is that boutiques, when done right, have greater possibilities at gaining exposure for their listings because they can use their marketing dollars to strategically hit the right people in the right areas. With a corporate firm, they have one template they use for marketing all properties: the “one size fits all” approach. That just doesn’t work in today’s market. What sets your brokerage apart? What makes you different than the competition? Our mindset. We know that our industry is changing. We are preparing for the change and creating value for our clients. A large number of brokerages, big and small, are still doing business the way it’s always been done: weekly print pieces in the newspaper, recruiting agents in masses, and throwing the same “one size fits all” approach to their listings. We are shooting 3-D tours, creating meaningful and strategic marketing pieces, utilizing videos, focusing on our online presence and collaborating as a team on what our clients need and how to get their homes sold quickly. What’s the biggest business improvement you made last year? What’s the biggest improvement planned for this year? Finalizing the launch from the franchise to David Young & Company. Strategically expanding into Houston’s luxury market. Have you ever worked in another city/metro? The respect we have gained by supporting so many special events throughout the year. We have had the privilege of representing the largest custom home builder in Houston, The Kickerillo Companies, which has a great reputation throughout the city. Houston’s market area is huge, over 680 square miles. However, our agents primarily concentrate in the Energy Corridor, the Memorial Villages and the booming area of Katy, just West of Houston. Are you a part of an independent brokerage that should be profiled by Inman? Contact local@inman.com.